Matthew Crosston is Professor of International Relations and Comparative Politics at Clemson University, USA. He specializes in the problems of democratization, terrorism and corruption and has been invited to speak throughout Europe, Central Asia and the Middle East. He has a PhD from Brown University with additional degrees from the University of London and Colgate University. The proliferation of an anti-US ideology among radicalized Islamic groups has emerged as one of the most significant security concerns for the United States and contemporary global relations in the wake of the end of the Cold War. The terrorist attacks of September 11, 2001 demonstrated the danger posed by Islamic extremists to US domestic and foreign interests. Through a wealth of case studies this new series examines the role that US foreign policy has played in exacerbating or ameliorating hostilities among and within Muslim nations as a means of exploring the rise in tension between some Islamic groups and the West. 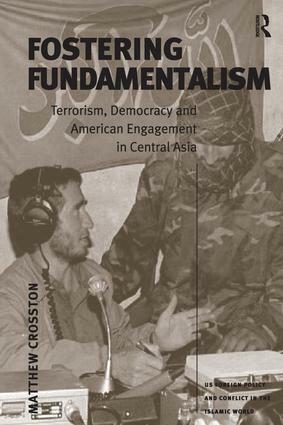 The series provides an interdisciplinary framework of analysis which, transcending traditional, narrow modes of inquiry, permits a comprehensive examination of US foreign policy in the context of the Islamic world.